As film-making in The Bahamas continues to grow, it's wonderful to see that two of the countries' filmmakers will be featured for the first time at the acclaimed, Fort Lauderdale International Film Festival (FLIFF) running from October 18 - November 11, 2013 showcasing entertaining features, documentaries, and shorts from around the globe. Nassau's Kareem Mortimer, and Freeport's Nathaniel Lewis both have a short film screening in Florida and Grand Bahama for FLIFF and FLIFF On Location: Grand Bahama Island from October 29th through November 3rd. Award-winning filmmaker, Kareem Mortimer ( Children of God, Float, I Am Not a Dummy) will be presenting his film, Passage which centers around a group of Haitians locked in the hold of a fishing vessel being smuggled through the Bahamas into the United States. On these vessels communicable diseases such as dysentery is deadly and if individuals get sick they are thrown overboard. The story is focused of Sandrine, a seventeen year old girl who must hide the fact that her brother Etienne is sick in order to save his life. 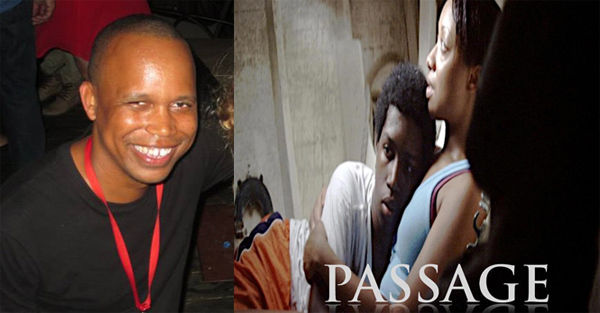 Passage just won for "Best Short Film" at the Trinidad and Tobago Film Festival. Over the past five years Kareem has won over 25 awards for his previous three film projects. Kareem has made short music documentaries for the syndicated show Hip Hop Nation: Notes from the Underground; and has written and directed the short film Float that has won 5 festival awards and distribution in North America, Germany and Austria. Float received a US Broadcast premiere on LOGO. Moving Pictures Magazine crowned Float as one of five short films to look out for and Kareem a writer/director to watch. His Children of God has won 18 awards, distributed in 24 territories, a theatrical release in the US and currently airing on SHOWTIME. Children of God was also named by BET as one of the top ten movies of the year and one of the top features to watch by The Independent Magazine. Screening in Florida: October 22nd at 12 noon and 7pm. Nathaniel Lewis is a Grand Bahamian filmmaker with a background in news reporting. He attended a FLIFF On Location: Grand Bahama Island press conference, and was so inspired that in the second year of the festival he debuted as a filmmaker with, Politicking in Paradise, which won him an award at the festival. In 2012 he also created the film, Jessica's Wish before writing, starring and directing his first short that he will screen this year, Frapper Avec Mour (Hit With Love) at FLIFF. Frapper Avec Mour centers around Camille, who is sent to Freeport, Bahamas to kill a hit. When she gets there, she discovers it's her mob boss ex-husband and during their encounter, she gets more than she bargained for. Lewis plays the mob boss and says the film was inspired by a French Canadian girl he met in Montreal, Canada some years ago. Alexis Hicks plays Camille in the film. Screening in Grand Bahama, on Friday, November 1st at 7PM.